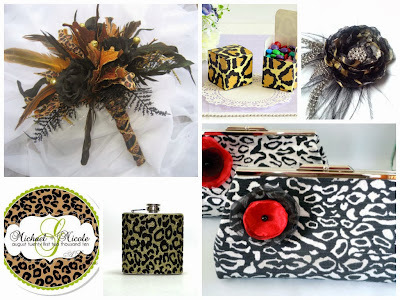 It's Wednesday, and that means it's time for another Wedding Wednesday inspiration board! I was in the mood for something a little fun and flirty, and I can't think of anything that fits that description better than leopard print! 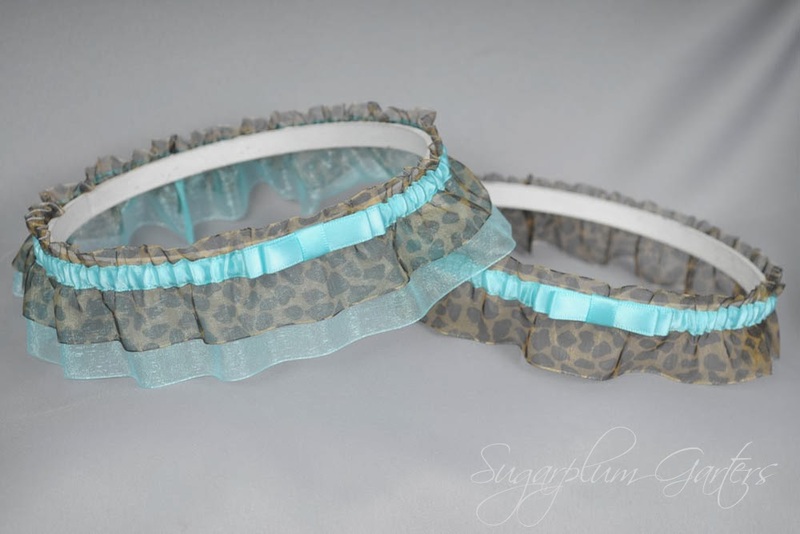 Looking for a leopard print wedding garter or set? I've got you covered! Check out my selection in my shop at www.sugarplumgarters.com. Here's one of my personal favorites! Wishing you a fabulous Wedding Wednesday! I love custom work, and this garter was especially fun to create! 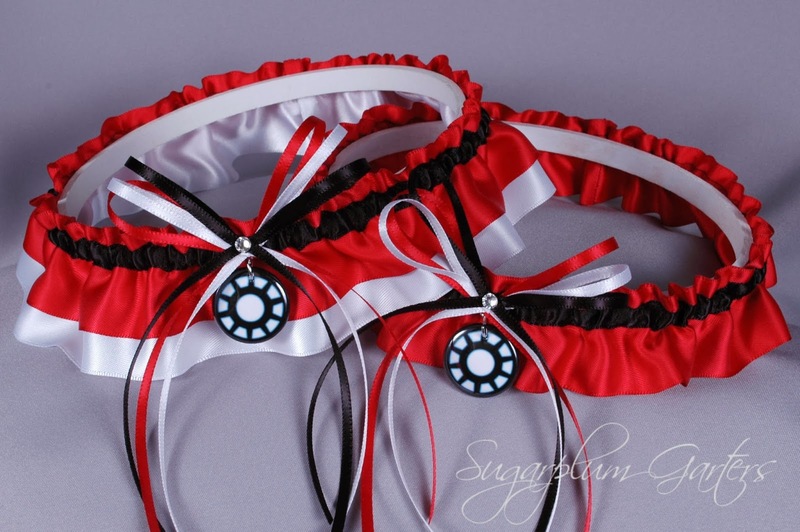 The garter was a gift for my customer, Dana's sister, who loves the Disney movie, 101 Dalmatians. 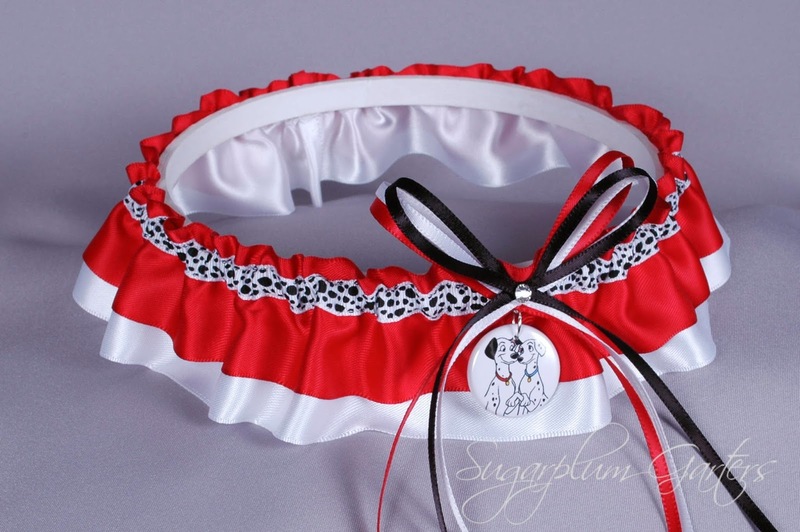 I was able to find dalmatian print ribbon for the small band on the garter, and we had a charm custom made using a photo of Pongo and Perdita. I am so pleased with how the garter turned out, and I hope the bride enjoys wearing it on her big day! It's been MONTHS since I've done a Photo of the Day post, and I've really missed sharing some of the fun wedding-related photos I come across on an almost daily basis. I saw this picture earlier this week on Gowns of Elegance's Facebook page, and knew I just had to share it! Gowns of Elegance is an amazing bridal boutique in Australia ~ I love seeing the gorgeous gowns they post pictures of on a daily basis. Isn't this cake stunning? I can't believe how much the top looks like a real dress! And the cupcake wrappers add so much depth to the arrangement! 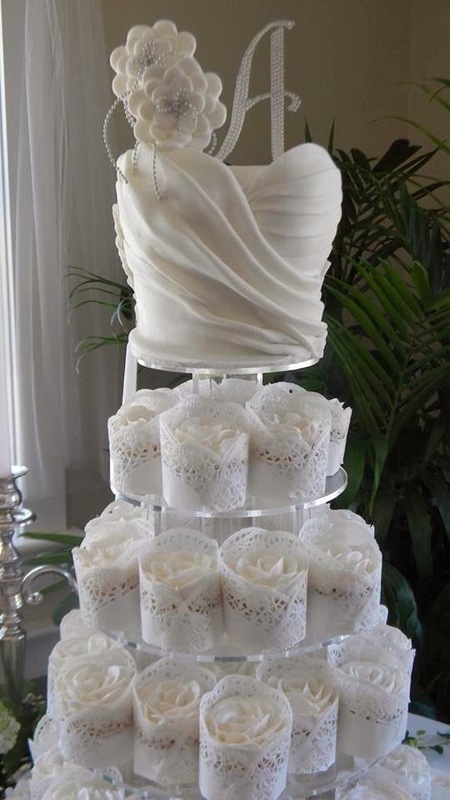 This would be absolutely perfect for a bridal shower! I'm still searching for the source of this beautiful creation ~ as soon as I find it, I will be sure to provide it here! 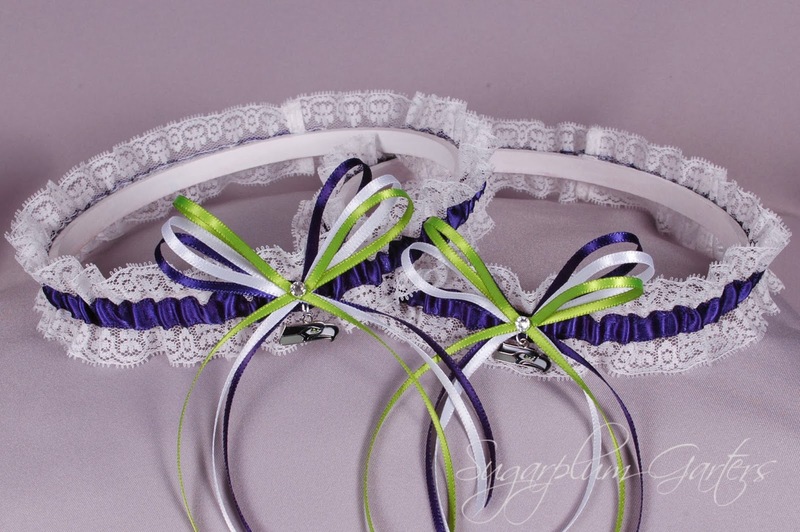 I'm so excited to debut my new lace sports garter set design, and I can't think of a better team to use to show off the design than my home team, the Seattle Seahawks! The set is available for purchase in my shop here; the keepsake garter in the set can be purchased separately. Be on the lookout for more pro teams and universities in this new lace design in my shop soon! This one's for all the Doctor Who fans out there ~ I just love the Tardis charm I was able to find! 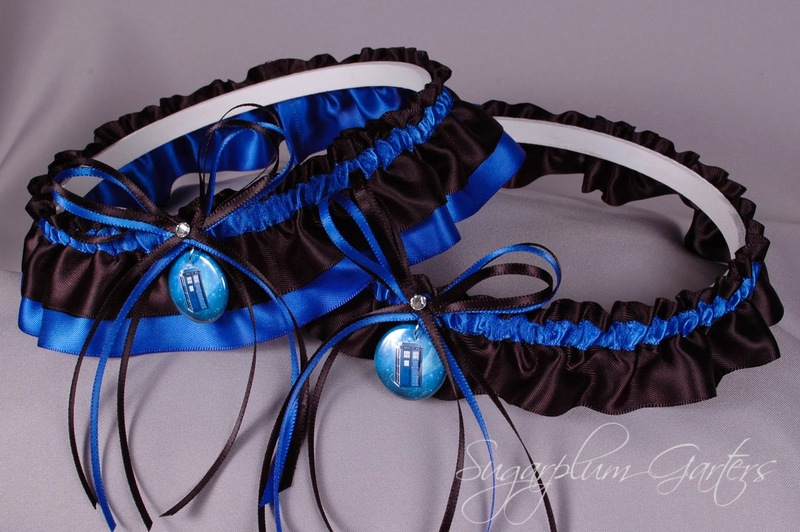 Available now in my shop here ~ the keepsake and toss garters may also be purchased separately. This week, I'm showcasing one of my favorite new wedding trends: Chevrons! 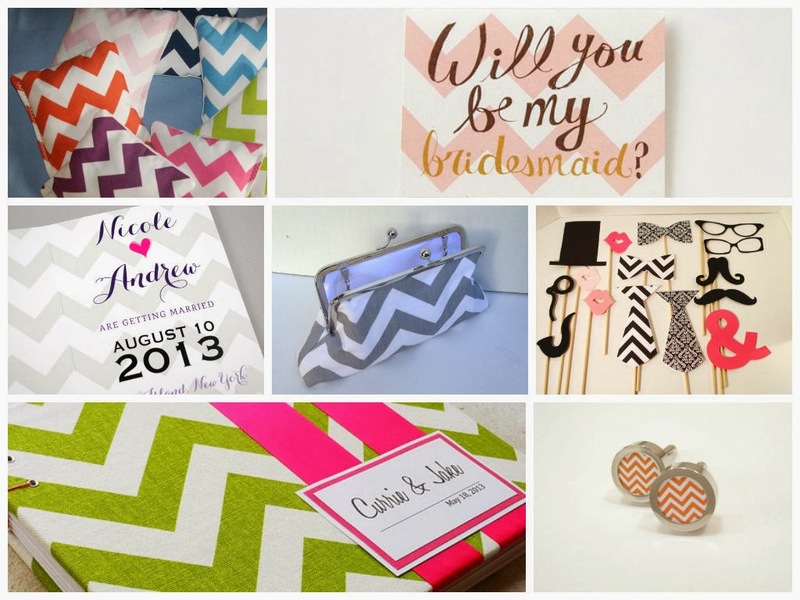 The color possibilities are endless, and chevrons are the perfect combination of sleek and flirty! I've been hard at work over the holiday season and have a ton of new designs to share with you in the coming weeks. Today, I am thrilled to debut the newest addition to my superhero collection, Mr. Robert Downey Jr. himself: Iron Man! This fun garter set is available for purchase in my shop here; the keepsake and toss garters may also be purchased separately. Welcome to 2014! 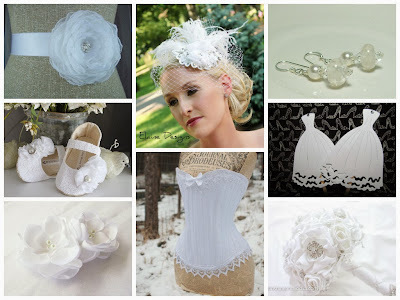 I can't think of a more perfect way to start a new year than with a white wedding! 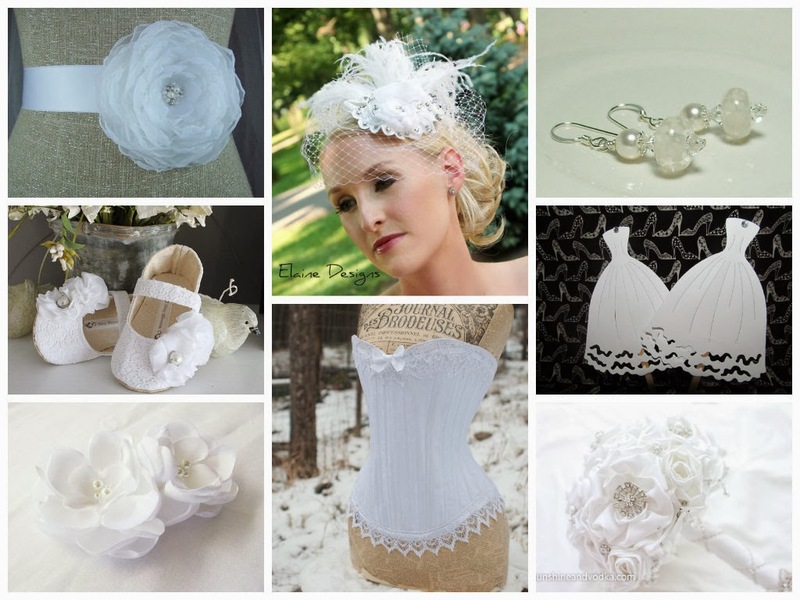 Here are a few of my favorite white wedding items available for purchase on Etsy. Happy Wedding Wednesday! I hope it is the start of a wonderful new year!